LOCAL ONE OWNER!!! 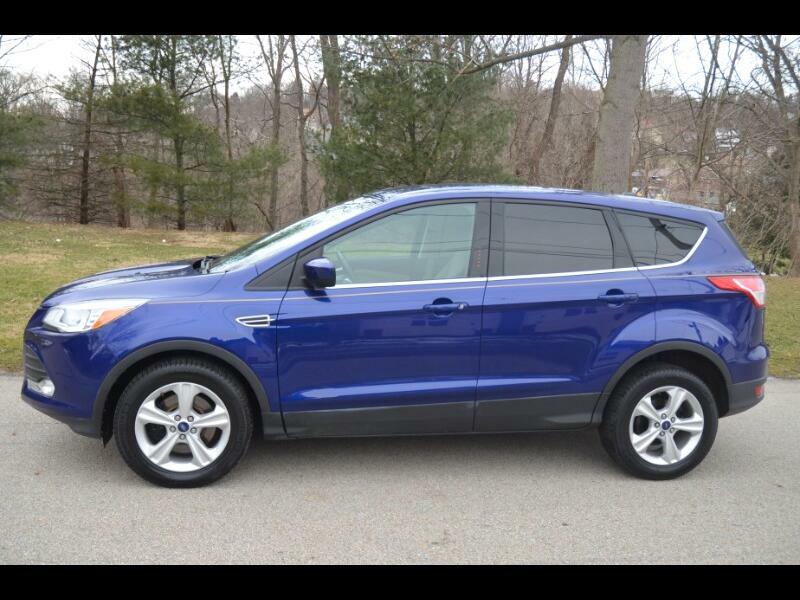 SUPER CLEAN 4WD ESCAPE SE WITH BLUETOOTH, POWER SEAT, BACK-UP CAMERA, RADIO CONTROLS ON THE STEERING WHEEL, MICROSOFT "SYNC" SYSTEM, ALLOY WHEELS, POWER WINDOWS AND LOCKS, KEYLESS ENTRY, CRUISE CONTROL, ANTI LOCK BRAKES, SIDE AIRBAGS, FRESH OIL AND FILTER, NEW PA. INSPECTION AND MORE. EXCEPTIONALLY NICE!!! There is a difference between our pre-owned vehicles and the typical used car lots vehicle. Our cars are hand picked, inspected by skilled technicians and professionally detailed! GOLICK MOTORS-PITCAIRN. SAME LOCATION SINCE 1935!